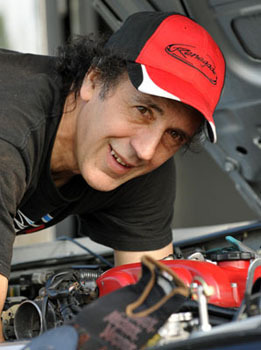 Hi, I am Mike Rossini, the founder of Rossini Racing Products. If you drive a Spec Miata, then I am here to help you in any way I can. I don’t mind what you are racing, or whose engine you are using, if you need help just let me know and I will do my best to assist you. Not only am I the voice that you get on the other end of the line when you call, but I am the same guy that will be working on your engines. I personally do all the work. Rossini Racing is a small company, totally geared towards the club racer. I personally stand behind all of my Spec Miata Engines and I care about each and every one of my customers. You will find my Spec Miata engines racing in SCCA, NASA, FARA and many other organizations. And you will find the Rossini powered drivers of standing on the top steps of winners podiums around the country. See our Spec Miata Championship results below. This should give you an idea of what you can expect from our engines. And read my engine manifesto below! I believe that every racer should have access to the very best of my Spec Miata Engines. I do not believe in cherry picking all the best pieces and setting them aside for my top drivers. What you will get from me is EXACTLY the same as they are getting. I don’t believe in sub contracting the machining work to any third-party machine shops – I do it all personally in-house. I don’t believe in hiring young labor to assemble your engine for you. You can rest easy knowing that I will be the guy putting it all together, assuring you of the tightest tolerances, the best fit and the best possible overall performance. I believe in charging a fair price for my work and I do not believe in gouging my customers. I believe that your Spec Miata engine should be absolutely reliable. I have front runners in the Spec Miata Nationals that have campaigned my engines for more than a season without refreshing (more than 60 hours of race time). So call me today to get you into a really fast Spec Miata, SSM, ITA or other Mazda engine. You can be assured of my personal attention.